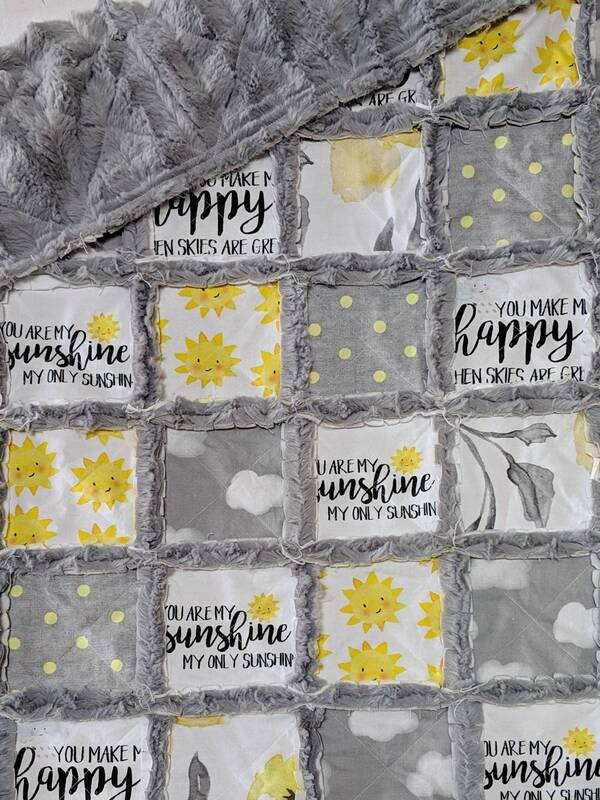 These prints are sure to bring a smile to your face with yellow florals, sunshine, and pretty typography prints including "you are my sunshine". 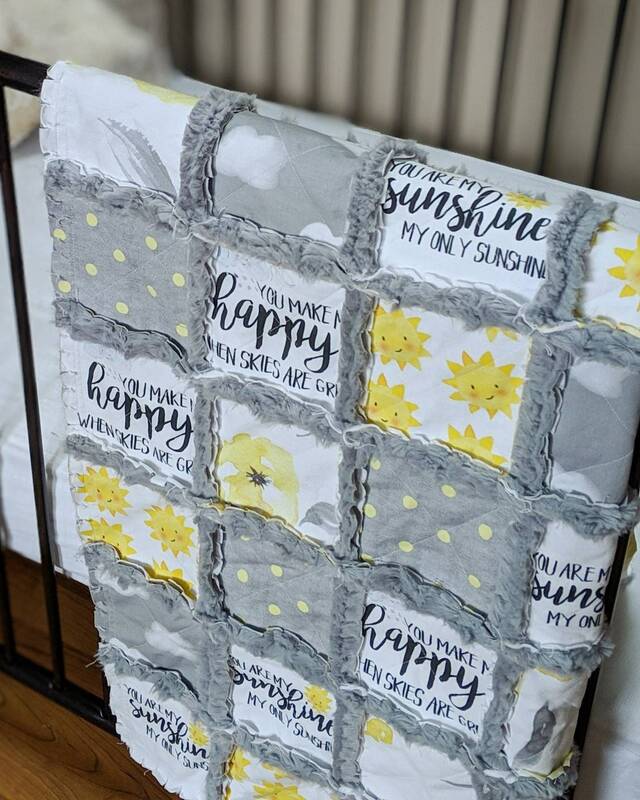 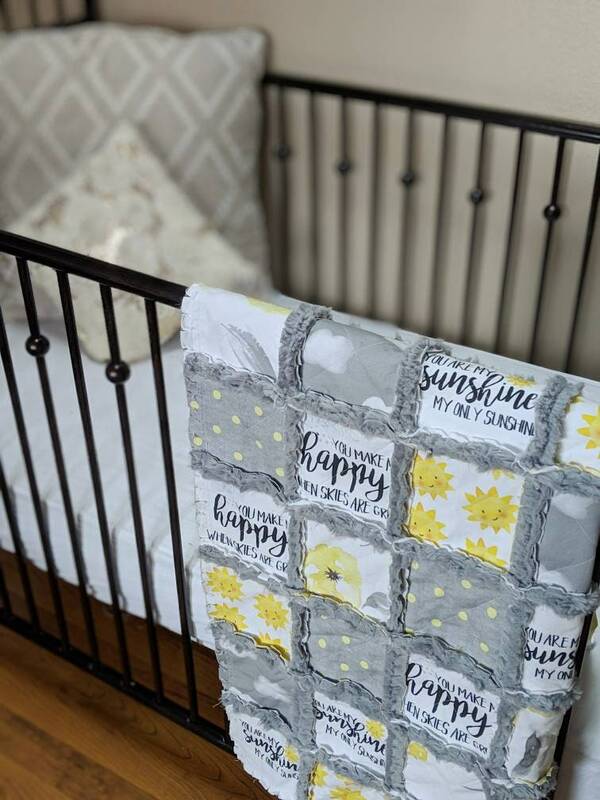 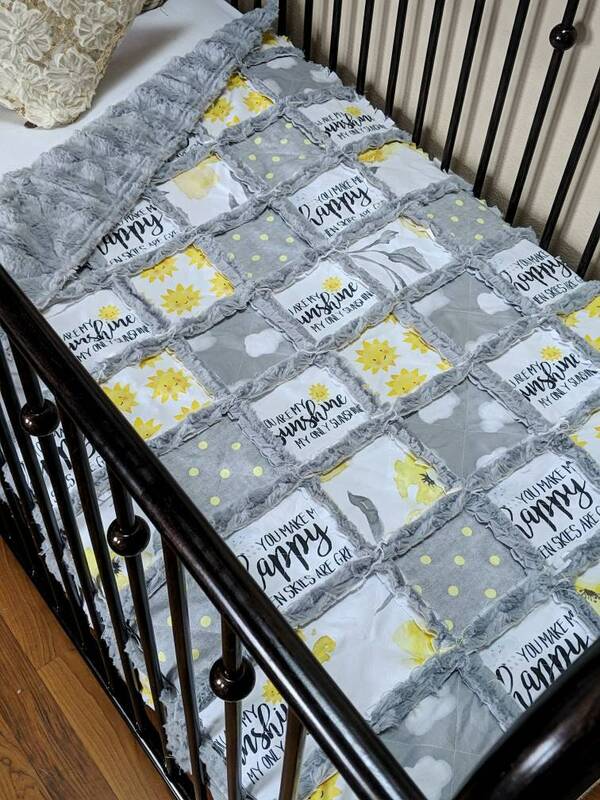 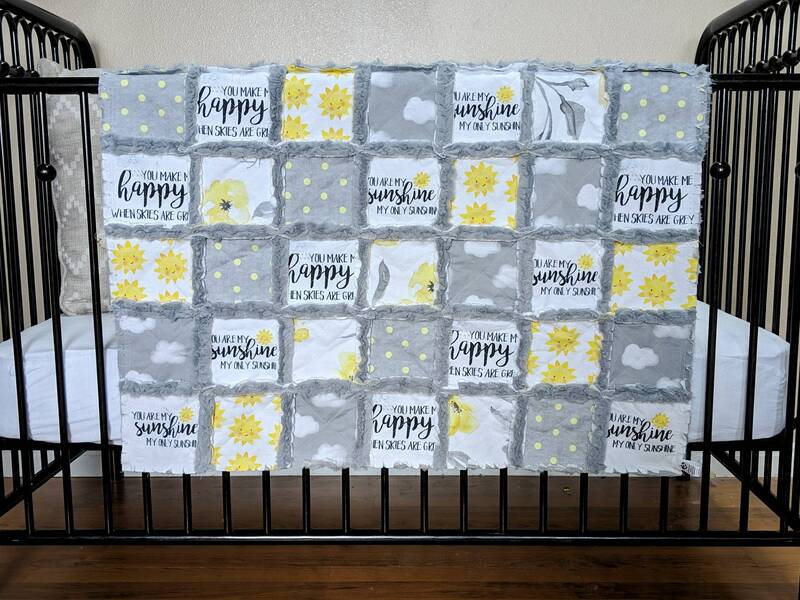 With sunny yellow accented with grey, this quilt is the perfect addition to a baby girl's nursery, or even just for a fun stroller blanket! 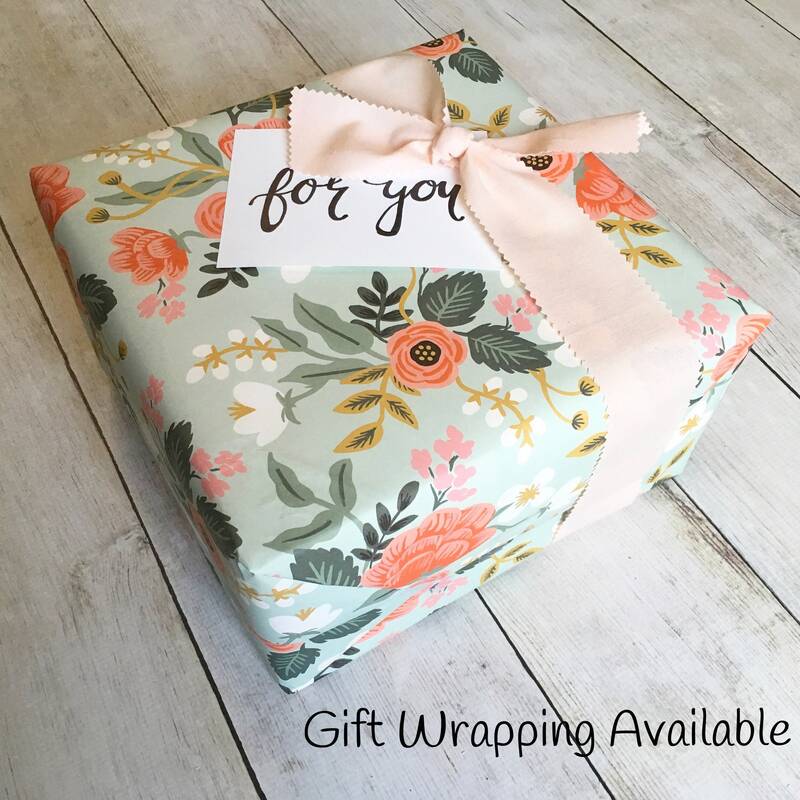 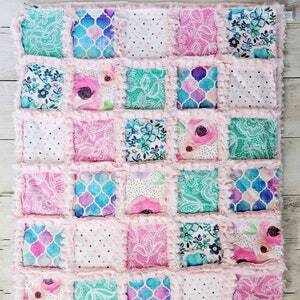 This quilt is done in such pretty, modern colors with beautiful floral prints. 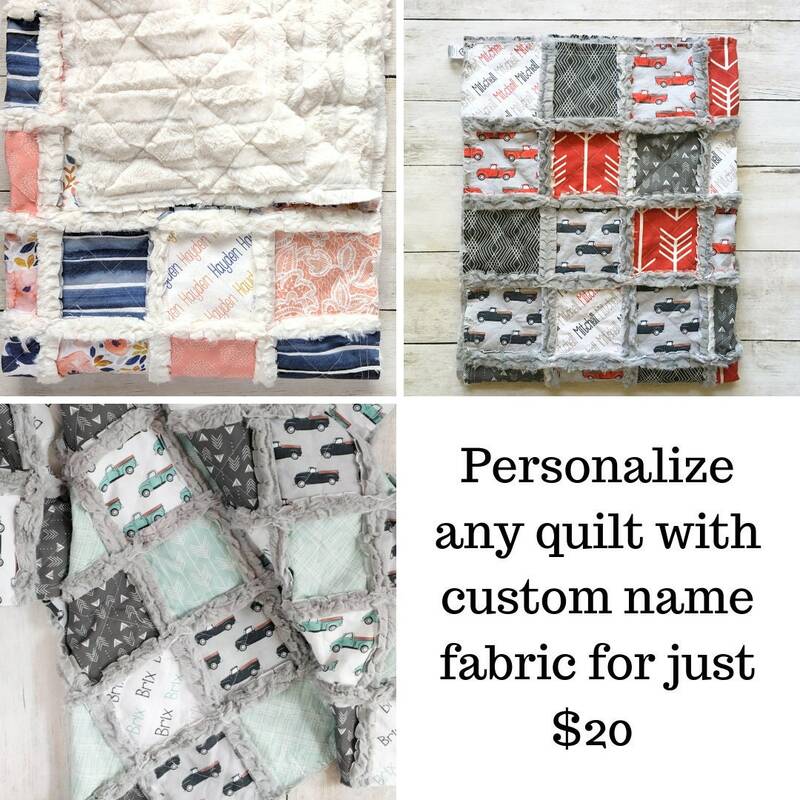 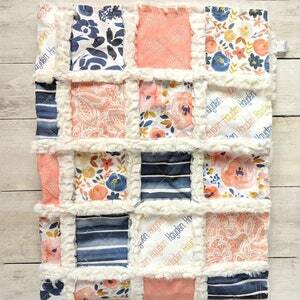 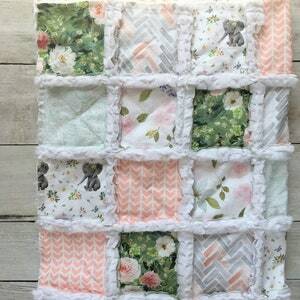 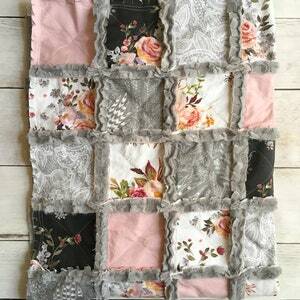 The back of this quilt will be done in fluffy grey minky, which is so perfect for snuggling!